Nestled amongst 35 acres of tropical gardens, InterContinental Fiji Golf Resort and Spa boasts one of the most beautiful settings among Fiji resorts. We are located along picturesque Natadola Bay on Fiji’s main island of Viti Levu. Protected by a reef which creates an aqua-blue ocean-facing lagoon, Natadola Beach has been voted one of the best beaches in the world. Captivating design, 266 rooms, world-class dining, a luxury spa, three swimming pools, an 18-hole championship golf course, kid’s club, wedding pavilion, state of the art conference facilities as well as authentic Fijian hospitality and experiences combine to create one of the most magnificent luxury resorts in Fiji and the South Pacific. Under new management since 2011, Altone Park Golf Course has been transformed from a badly neglected 'goat track' to its former glory. Nine deceptively tough holes, with water on seven of them, this is a beautiful walk in the park, but no push over. Here at Amazing Golf it is our aim to help you achieve the very best you can, by working and modifying your natural swing rather than trying to build you a complete new one. With over 12 years coaching experience and multiple tour wins we can guarantee you'll notice the amazing improvements within a few shots! Working with all ages from 5 to 95, no one is too young or old to be coached and put on the right track for success with your golf game. Araluen Golf Resort is located 40 kms southeast of Perth City in the uniquely beautiful hills of Roleystone, just minutes from the renowned Araluen Botanic Park. Set in what has often been described as an enchanted valley, Araluen Golf Resort boasts a world class golf course surrounded by natural Australian bushland inhabited by abundant native wildlife and boasting breathtaking views of Perth City and beyond. When you play a golf course, a great way of testing the quality of the course is by how many holes you remember. At Araluen you are guaranteed many wonderful memories. The signature Par 3 16th, the amazing Par 4 9th, are two that stand out immediately, but every hole has its own special feel about it. The final three holes are considered three of the best finishing holes played anywhere. Golf is not just a journey at Araluen, but more about one of life's most wonderful experiences. We trust your visit will bring many Western Australians and visitors back to where golf has had countless memories. Arundel Hiils Country Club transformation to one of the best clubs on the Gold Coast is well on its way and have now completed a full renovation of the 18 greens and now will be enjoying some of the best greens on the coast. From the moment you enter the sweeping paved approach and observe the tranquil lake bordered by manicured gardens, you realise Arundel Hills Country Club is very special. Within easy reach of both the Gold Coast and Brisbane, Arundel Hills Country Club is home to an 18 hole championship golf course renowned for its picturesque design. The signature hole is the 16th. From the elevated tree lined tee the 426m par 4 16th hole requires an accurate drive with a testing 2nd shot over water to a well bunkered green. The challenging 16th is one of the great par 4s in golf. Arundel Hills offers every possible amenity for members & their guests, including a well stocked Pro Shop; regular competitions, & the Al Fresco Restaurant & Bar. Ashley Grant Golf Coaching Ashley Grant is Head Golf Instructor at Balgowlah Golf Club. As your coach my job is not just to fix your swing but also help you improve in all aspects of the game. Using my Holistic Golfing Approach (HGA) I can help you become a consistent high-performer who is proficient in both long and short game and is physically and mentally equipped. 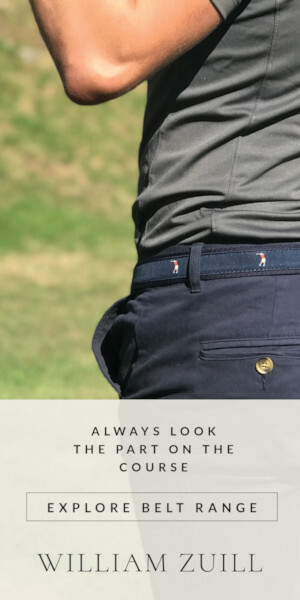 If you are new to golf you can find assurance in my well-structured and comprehensive Beginner Program Starting from the basics of how to hold a club to hitting the ball and gaming tactics on the course. If you are already a social player or experienced golfer you will be delighted by our highly customised Intermediate / Advanced Program which caters to your individual needs and objectives. Australian Golf Schools provides intensive, personal golf tuition on the idyllic golf courses located on the Gold Coast. We have 1 to 5 day courses for you to choose from. Our facilities at Emerald Lakes Golf Course are second to none and our coaches are all PGA accredited with International experience and reputations as well as personal experience on the PGA Tours. The main difference between Australian Golf Schools and most other golf schools is that we operate almost every week of the year. Our team of coaches headed by the school founder, Tom Linskey, are all PGA Members with international experience and significant reputations and are available to coach 7 days a week. This means that we can offer you the school of your choice at the time that suits you. A very important consideration in today's busy world. Australia's most prestigious golf event and the one every player wants to win. The Emirates Australian Open has a rich, century old history and has been the stage for the game's greatest players as they have battled it out to claim Australian golf's most esteemed piece of silverware. Tiger Woods, Adam Scott, Jason Day, Dustin Johnson, Bubba Watson, Fred Couples, Greg Norman and defending champion Geoff Ogilvy will compete in Australia's most prestigious golf tournament, the Emirates Australian Open at the Lakes Golf Club in Sydney. Australian Pitch & Putt, Waverley Golf Course Australian Pitch & Putt Waverley commenced operations in 1990 and since then has become Melbourne's premier par 3 Pitch & Putt golf course. Catering to every age group over the years, the course now boasts a customer database in excess of 15,000 customers that have evolved from its dedication to junior development (home of the Vic Under 16 Classic), competition structure that caters to every level of skill, Social and Corporate golf days, and other promotional and fundraising events for all. With its unique handicap structure and affiliation to world bodies of the sport, Waverley Pitch & Putt now ranks among the most aesthetic and competitive courses of its type in the world. The company prides itself on being recognised for business awards in the region and for environmental sustainability awards over the years. Avalon Golf course (established in 1926) is a true blue, 9 hole public golf course, and the only course on the peninsula that offers casual golfers the opportunity to play 7 days a week. A relaxed atmosphere and beautiful location make Avalon the perfect course for those wanting to enjoy an unhurried game. You can also achieve and maintain a recognised handicap with Golf Australia/golf link on special at the moment for $59! (yearly membership in July = $120). Fully licensed, with catering and BBQ facilities, Avalon is the perfect casual golf course - or the perfect venue for social groups, corporate golf days or a casual round of golf any day of the week. Come for a visit soon, and rediscover Avalon Golf Course (entrance off The Crescent Avalon). The Bacchus Marsh Golf Club was established in 1907, with the current course opened in March 1974. The golf course it is gently undulating and offers panoramic views of the picturesque Lerderderg Valley. Competitive and social golfers alike will find the course offers some unique challenges. With the completion of the couching program, excellent golf conditions are available all year round. After your round, enjoy an excellent meal and a drink in the clubhouse, with lovely views across the golf course. Come and enjoy the country life and hospitality, only 45 minutes from the Melbourne CBD. Cumberland Golf Club Pro Shop, arguably the largest and best stocked professional shop in Western Sydney and is open 7 days a week from 6am till 6pm. Club Professional, Joanne Bannerman, and her team offer a wide range of services for all your golfing requirements. We are proud to boast the most technologically advanced Professional Shops in Australia. It is our aim to provide the highest quality service to our customers, as well as maintaining competitive prices. Our services include: * Tuition from highly experienced PGA professionals * Club fitting in our Indoor Tech Centre * Full club repair service * Motorised Cart Hire * MGI Rental Fleet * Demonstration clubs of all the leading brands. Bellingen Golf Club Bellingen Golf Club has a modern air conditioned clubhouse and facilities that overlooks our beautiful 10 hole golf course on the banks of the Bellinger River with a magnificent mountain backdrop. Our beautiful tree lined golf course has an AGU, WGA rating of 69 with a par 70 and offers a challenge for all golfers. The club has a private function room that can easily cater for up to 100 people with a great selection of menu choices available. Fairways Bistro has a great menu selection and blackboard specials for lunch and dinner that can be enjoyed indoors or outdoors in a relaxed and friendly atmosphere. There is always plenty of entertainment at the club with Friday nights monster raffles, members draw, music and free pool, monthly jazz, country music and more. Founded in 1939, Bexley Golf Club is one of Sydney’s more established clubs. Many of Australia’s finest golfers have battled the tight tree lined course with many coming off second best. Greg Norman, Peter Senior and Peter Lonard have all competed at Bexley during their careers. The course has the reputation of being one of the most popular in the country and has produced its fair share of champions over the years. Built on an old dairy farm the gently rolling hills and green parklands provide an ideal site for a golf course. Recent improvements include the building of two massive dams that provide all the water for a fully automated irrigation system. This ensures excellent playing conditions year round. Widely acknowledged as the best course in the Adelaide Hills, we’re located in Cherry Gardens – 8 minutes from the Blackwood roundabout, 11 minutes from Stirling and 30 minutes from the CBD. Escape from the business of everyday life and enjoy our 18 hole, par 72 course in a beautiful bushland setting – majestic gums, towering pines, koalas, bird life and a kangaroo or two. Enjoy our immaculate fairways, fast greens and enough bunkers to make it interesting but not too daunting! 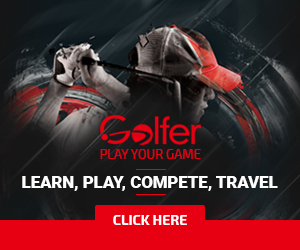 "Modern Golf":http://www.moderngolf.com.au/ Teaching Professional Originally from Botswana, he played professionally on the Sunshine Tour and has since been mentored by industry greats, such as renowned coach Simon Holmes. For over five years, Bobby held the coveted position of Sports and Golf Director onboard the exclusive residential ship, The World. During this time he played over 30 of the world?s top 100 courses including Royal County Down (N Ireland), Muirfield (Scotland), Winged Foot (New York, USA) and Old Head Golf Links (Ireland). Bobby was the Head Professional at St. Michael's but is now committed to the guests of Cullen's Driving Range.